Presenting some of the most treacherous working conditions on the planet there are few places that can benefit more from lighting than oil rigs. Working on an oil rig requires safety and reliability, as well as heavy-duty, safe and robust lighting options. Oil rig lighting takes on even greater importance as not only must the concerns for ignition control be addressed but also the punishing and corrosive effects of the marine environment. Lighting used on oil rigs must not only be able to meet hazardous location safety standards, but be able to resist the effects of the marine environment, which could potentially erode the ability of the lighting equipment meeting compliance standards. With the number of operational oil rigs rising, the demand for explosion proof lighting equipment suitable for use on these rigs is increasing. 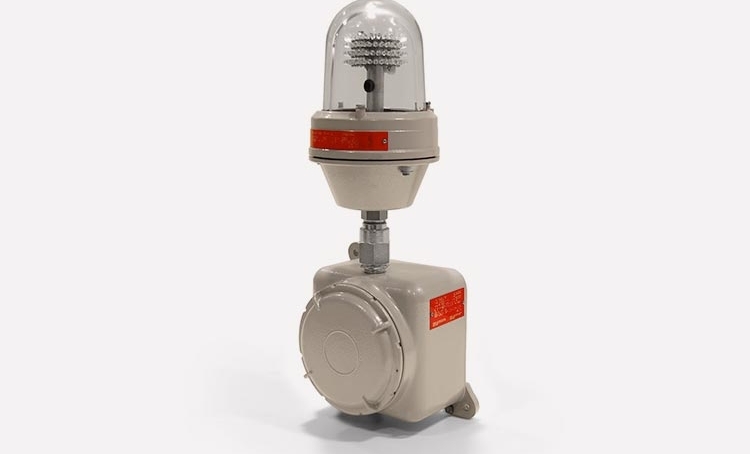 Manufacturers of industrial grade hazardous location lighting equipment have developed a wide variety of products that take into account, not only the standard requirements for oil rig illumination, but also add improvements born of new technologies such as LEDs, electronic fluorescent ballasts and backup emergency lighting systems. In sync with this ATEX, “Atmospheres Explosibles”, is a safety standard defined by the European Union, by which oil rig lighting must comply. It defines a set of regulations governing equipment and protective systems intended for use in potentially explosive atmospheres. Although it originated in Europe, ATEX approval is used worldwide as a ready-made safety standard. If you manufacture products intended for use in potentially explosive atmospheres you must provide assurance that your equipment will not cause an explosion during routine operations. Another key body is SGS Baseefa, the leading internationally recognised certification body for explosion protected equipment, delivering ATEX certification to customers around the globe. 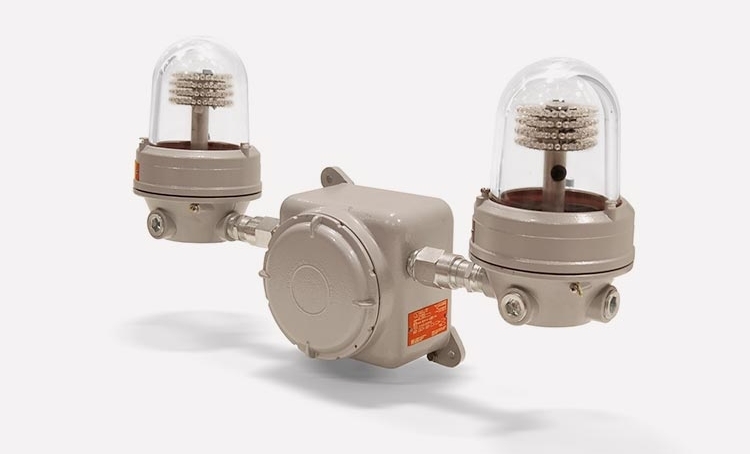 Another element revolving around ATEX approval are aircraft warning lights (AWL’s). Oil rigs and offshores applications, whether they are fixed platforms or mobile drilling rigs, present particular challenges for lighting with most areas being classified as ATEX Zone 1. Two examples of key models in this category are the WL-SLI-EXIIC and the WL-SMI-EXIIC. 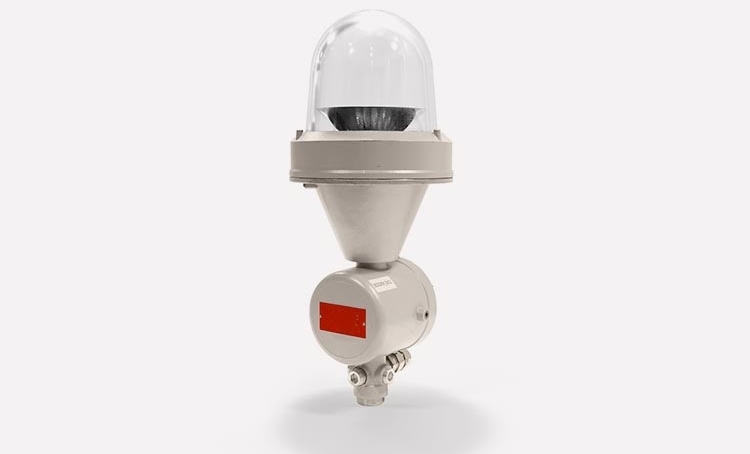 The WL-SLI-EXIIC is a low intensity explosion proof light that is designed for areas made hazardous by abnormal conditions and the WL-SMI-EXIIC is a medium intensity explosion proof light that is designed for night time marking.